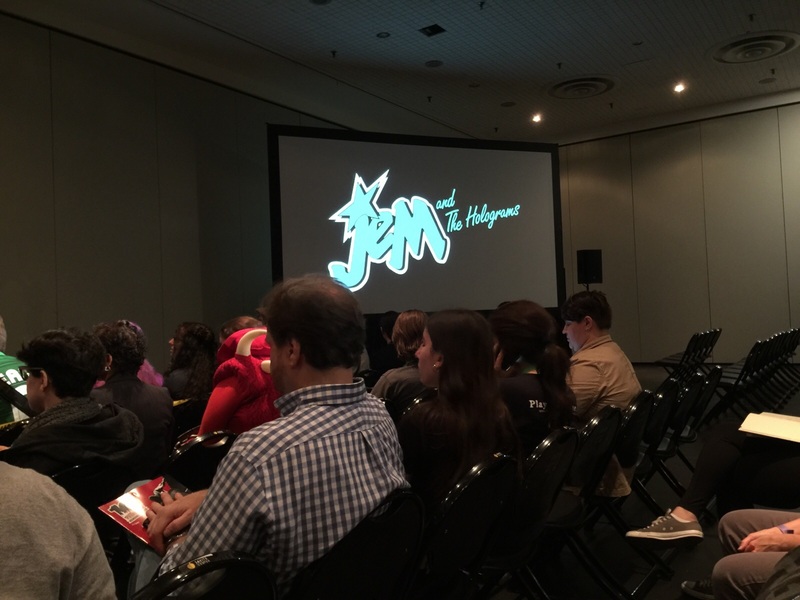 Welcome back to the TFW2005 New York Comic-Con 2015 Coverage. 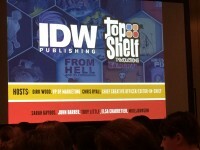 You are joining with us for the IDW Publishing panel (also known as IDW & TOP SHELF: The Best Panel of All-Time) where you’ll get to hear juicy new details about Prime Wars and more! You can check out the info, after the jump. We’ve added all the images we took as well. Check it out on the Additional Images section of this news post. Update 1: Today’s panel (10/09/2015) was just to give an overview of what’s happening at IDW (including a summary of the plans for Transformers). There are more panels over the weekend to cover specific areas. Update 2: Added more info from the Q&A Session. 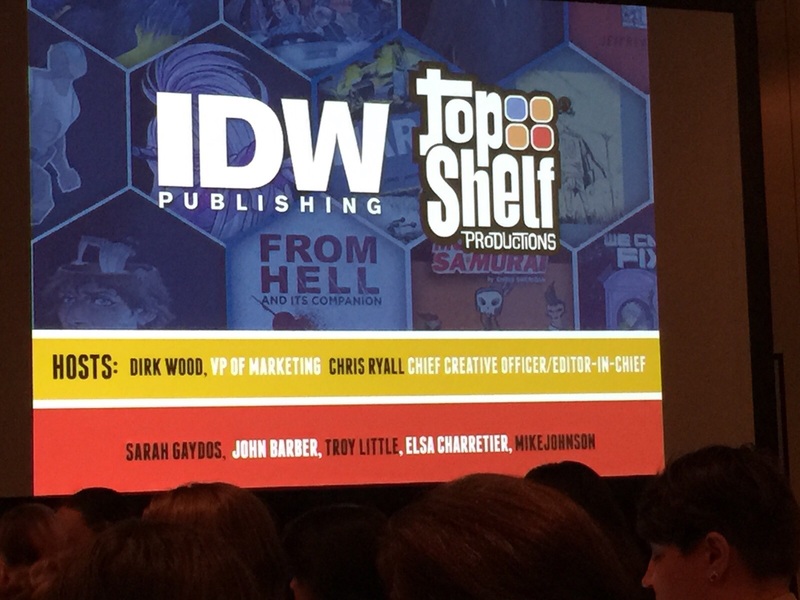 Panelists: IDW Chief Creative Officer/Editor-in-Chief Chris Ryall, VP of Marketing Dirk Wood, and Editor Sarah Gaydos. 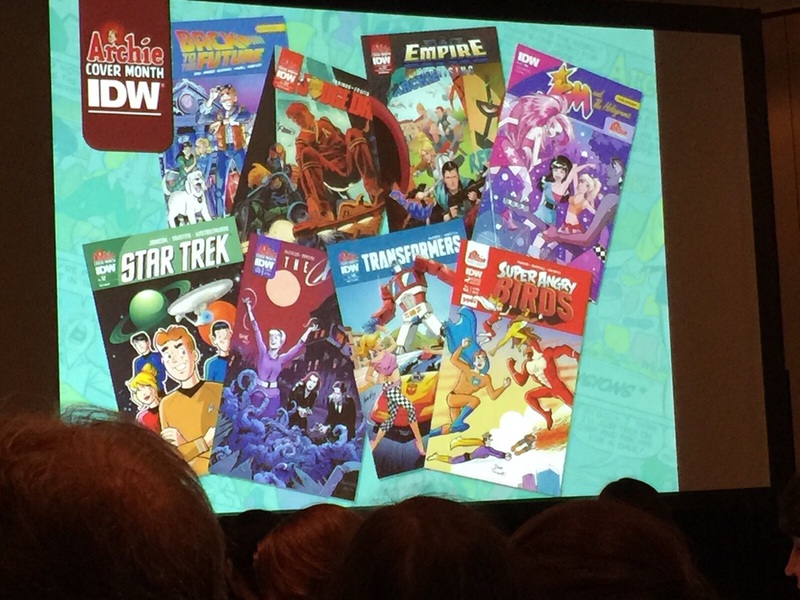 Also: John Barber, Troy Little, Elsa Charretier, Mike Johnson. 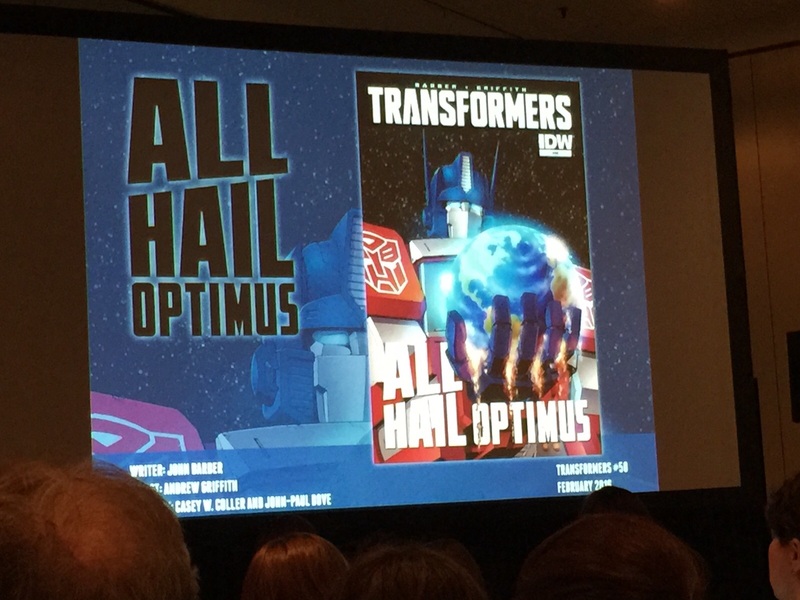 Archie/Transformer cover shown. Not a crossover. Just a cover. 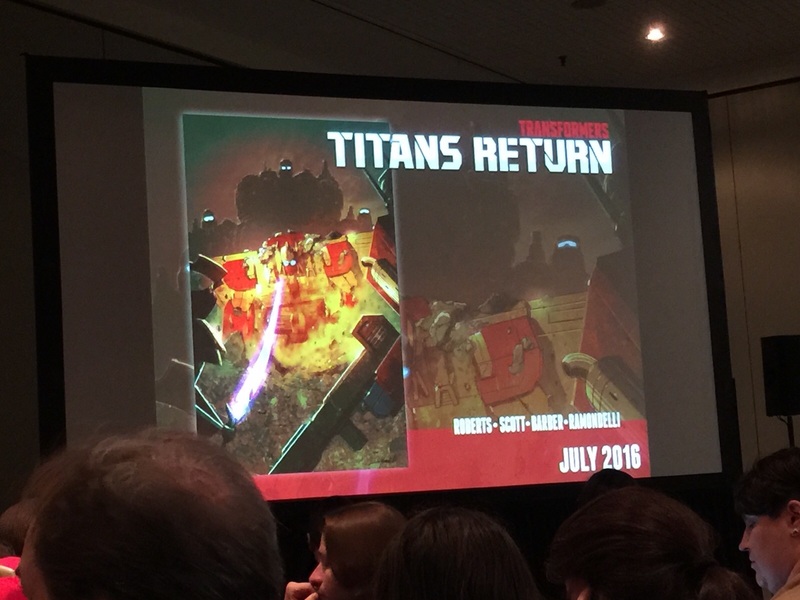 Transformers: Titans Return now. Images coming in. 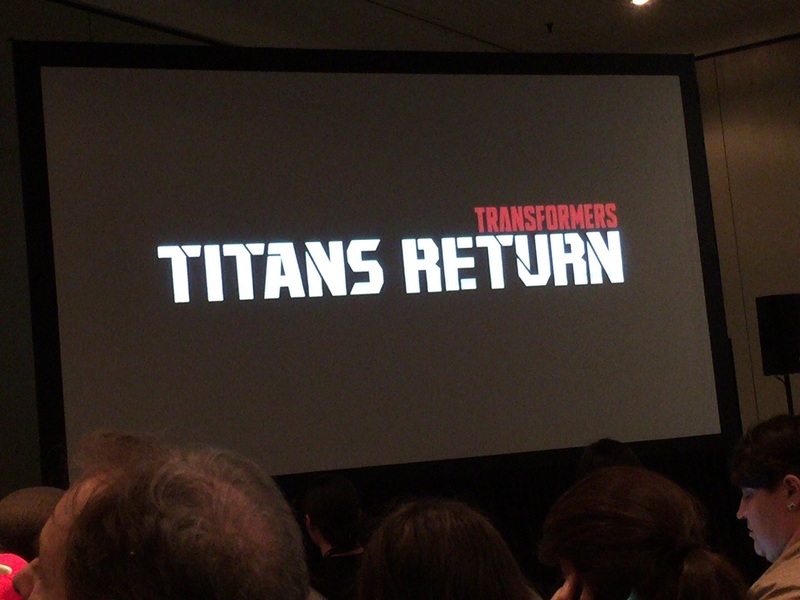 Landscape of Transformers is about to change. Optimus is saving the Earth whether it wants to be saved or not. This kicks-off with issue #50. 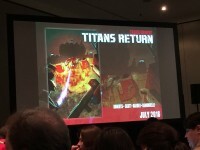 Cybertron stuff and everything has been building to this. Earth enters the galactic community. No new More Than Meets The Eye info. 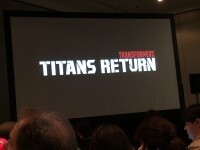 That seems to be the extent of TF coverage for the panel. 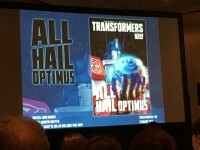 Transformers Holiday Special will come out early. There will be stories such as how How Thundercracker and Buster saved Christmas. More info will be given on the panel tomorrow. Issue #50 is going to be big. Optimus is seen by a sort of religious figure by the colonies and he takes advantage of that with Earth which he feels should be more free. Not all the normal Wreckers will be alive for Sins Of The Wreckers. 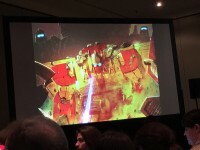 More Beast Wars bots will be showing up. Springer may or may not be dead for Sins Of The Wreckers. 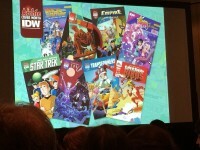 There is another IDW Panel tomorrow. There might be some more info about what we heard today and more (hopefully).